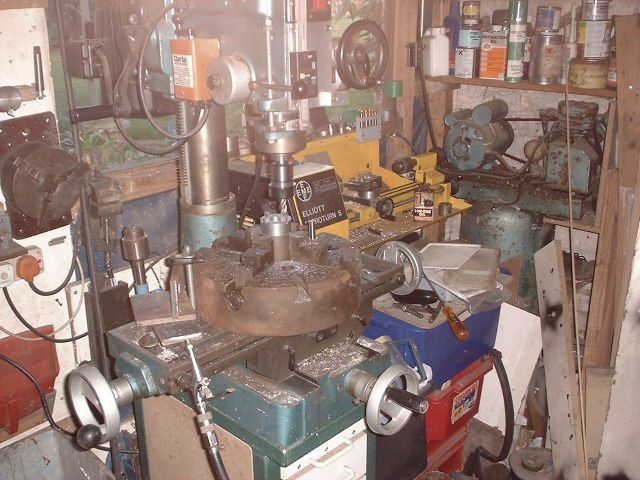 In my workshop I have a little (2 1/2" x 14") Emco Compact 5 lathe which has proved to be extraordinarily useful but is obviously limited by its size and power. In the garage I also had a Colchester Triumph, on indefinite loan, which was only a year younger than the Frazer Nash and only suitable for rough work. 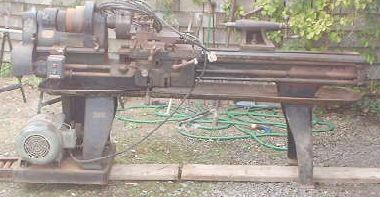 One day, when talking to a friend who has an agricultural engineering business, he mentioned that someone had a lathe for sale which he described as being like theirs (a long bed Triumph 2000) but smaller, so I guessed that it might be a Student or Master. I phoned the seller who told me that it was a short bed T2000 in good working order. At that point I didn't think that there was much point in asking him how much he wanted for it (expecting it to be at least £1500) but, purely out of interest I did. Much to my amazement he said £250. I jumped in the car, drew the cash out of the hole-in-the-wall and an hour later it was mine. As you can see, it has a Dickson QCTP plus several toolholders and an Ainjest rapid threader. 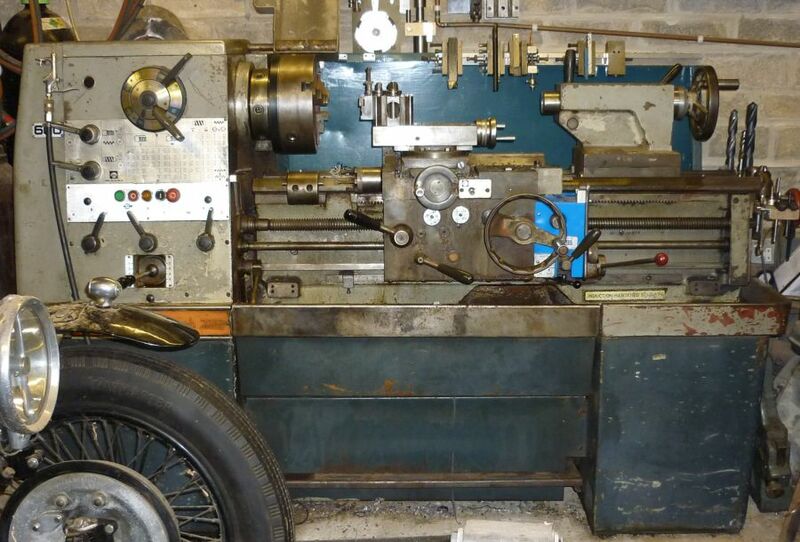 It was fitted with a 7.5hp three phase motor but I don't have three phase and a converter or inverter would have cost several times the price of the lathe. I had a spare 2hp single phase capacitor start motor which I thought was worth trying but expected it to be a bit pathetic; I fitted it and have hardly ever had to ease off. In the winter the headstock needs to be warmed up by running at 840 rpm for a few minutes before it will run at higher speeds. I've now got a 3hp cap start/cap run motor which I think will do all that I want when I get around to fitting it. 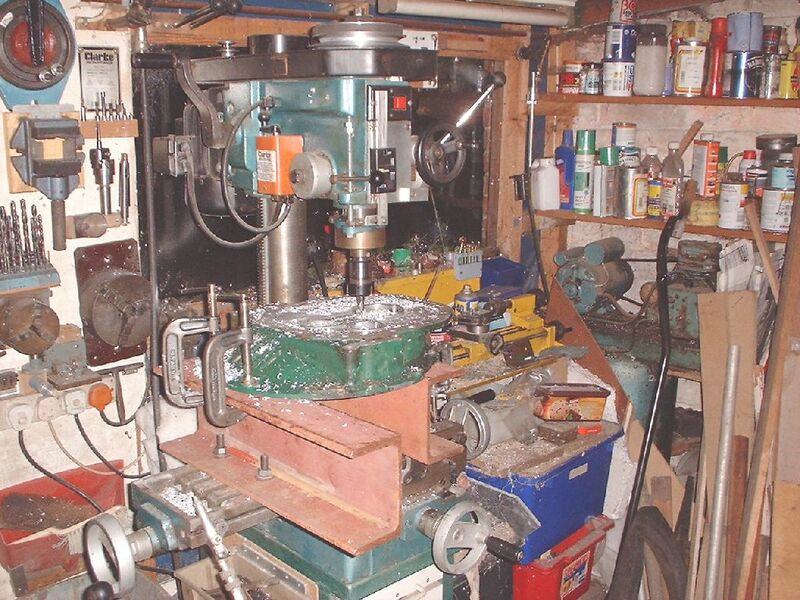 I've done a couple of write-ups on the workings of the headstock and gear cutting gearboxes which can be downloaded as PDFs from the following links. The gearbox one has a table of all possible thread pitches - quite a lot more than on the faceplate - e.g. a pitch of 0.813mm which is very close to 2BA. Versions have also been done for the Student 1800. 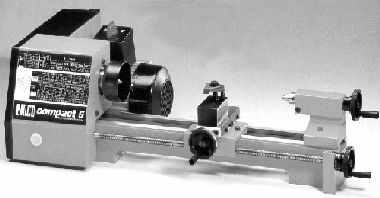 I also have a small Taiwanese mill/drill which is a bit short on rigidity but is quite capable of doing good work when you take care. I'm a member of the local community composting group which bought a used 35hp diesel engined shredder. The main rotor, which carries the hammers, is driven from the motor by 3 B-section belts. The rotor pulley was out of true when we got it and the end had been welded to the shaft! It soon gave up and, after grinding off the weld, the pulley more-or-less dropped off. The old pulley turned out to be a taperlock where the grub screws had also been welded over. The shaft was well graunched and had been 30mm. There was enough left to turn it down to 28mm (being the next size down in standard taperlock bushes). The rotor and shaft were an all welded construction and would have needed a 24" swing lathe to turn the shaft down. It would have been an absolute bugger to get out of the housing so I decided to try machining it in situ. 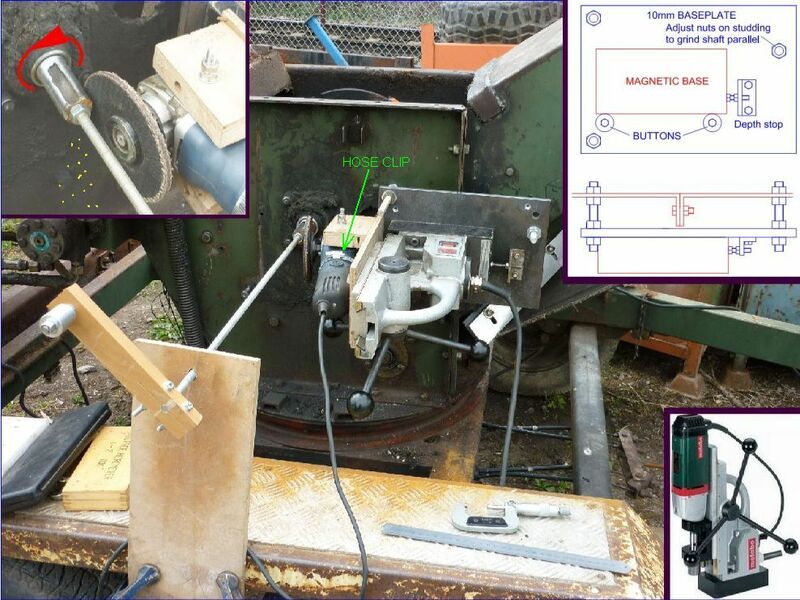 I borrowed a mag base drill which had a very nice slide action, fixed an angle grinder to the slide and made a baseplate for it to clamp to. It worked remarkably well - with careful adjustment I was able to get the whole length to better than +/- 0.02mm - but there was no way I could think of for machining a new keyway. 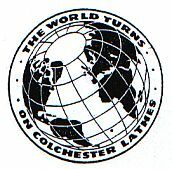 The Fenner data gave the slipping torque as about ten times the maximum steady driving torque so I decided to fit the pulley without a key but used Loctite 638 between the shaft and bore of the bush. It's run for quite a long time since then without any indication of slipping.